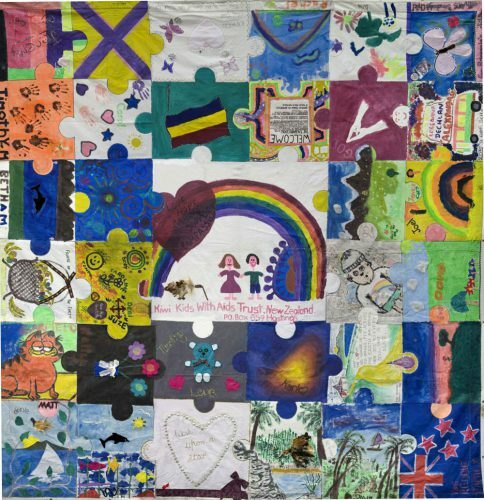 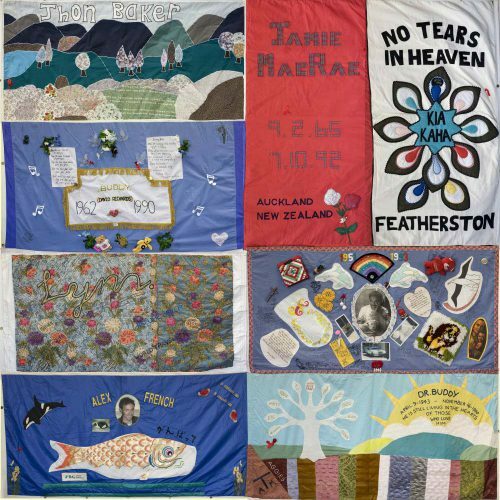 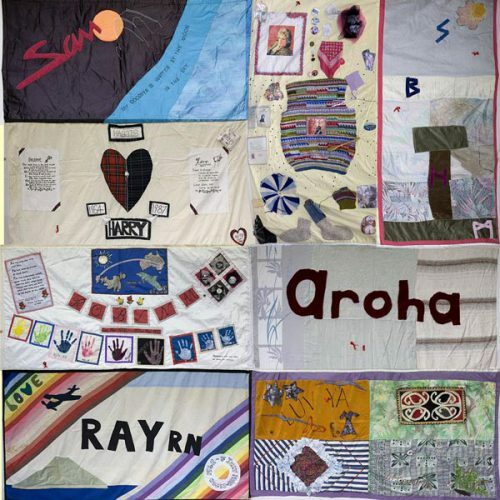 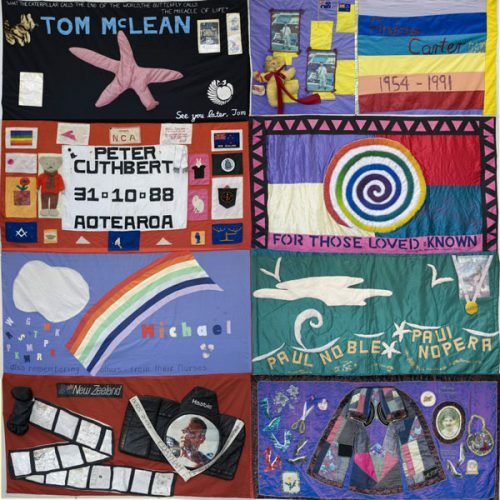 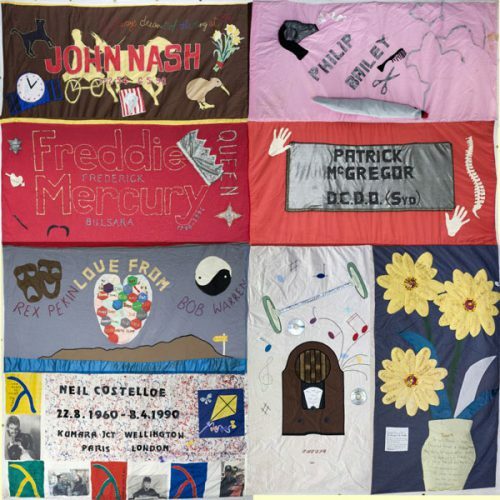 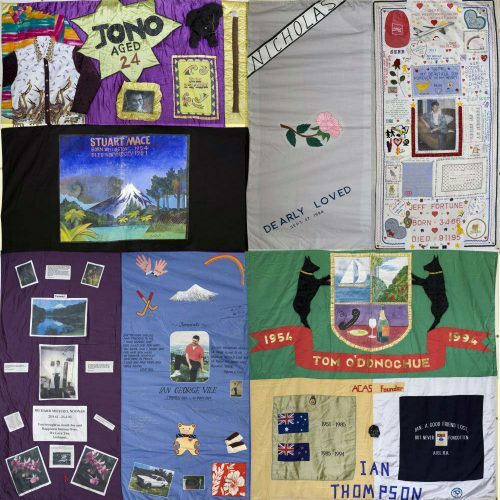 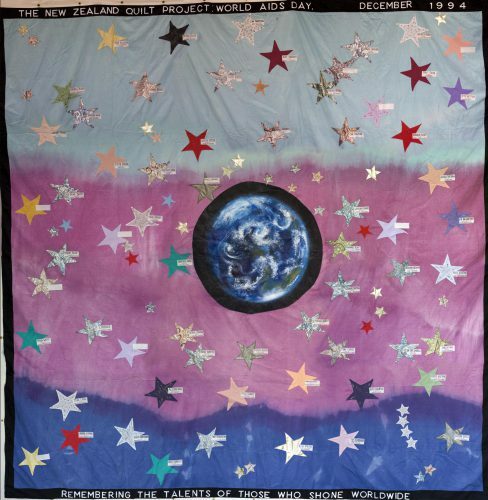 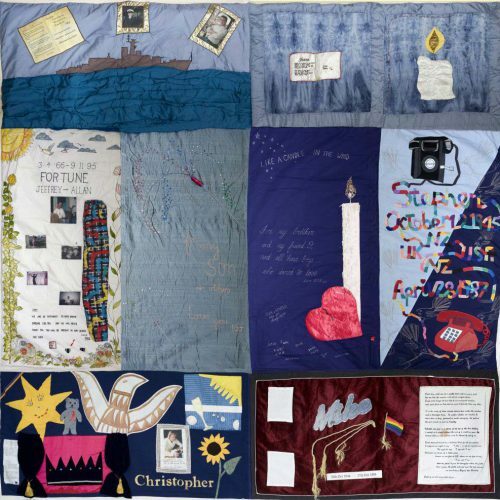 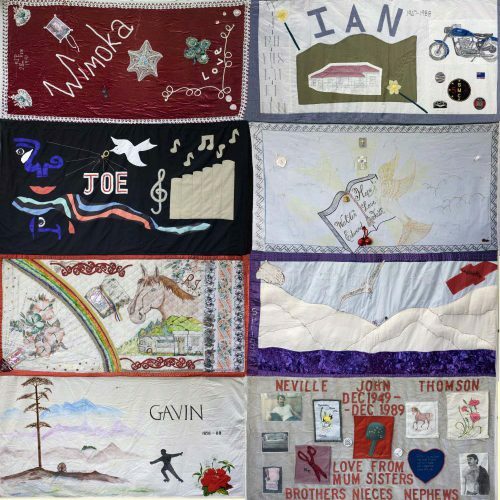 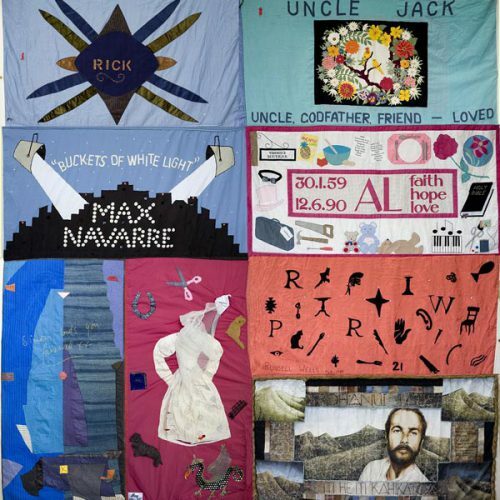 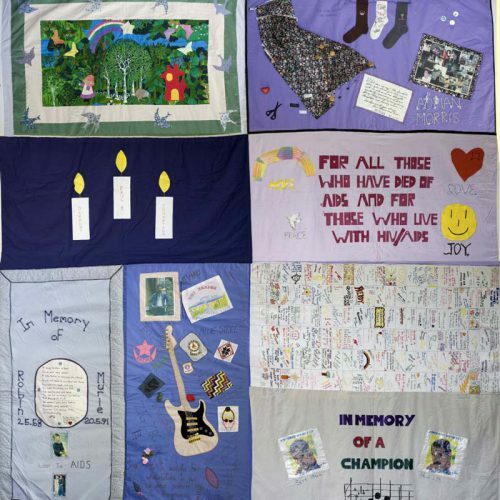 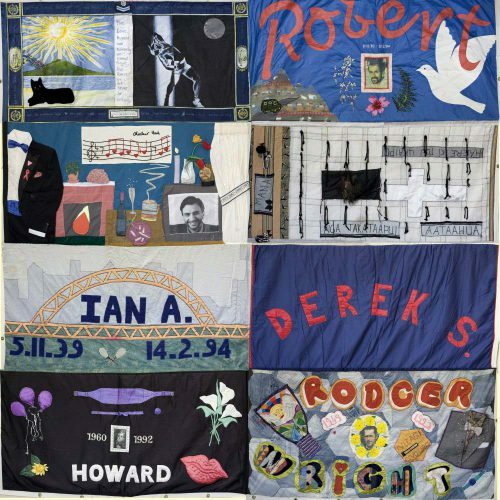 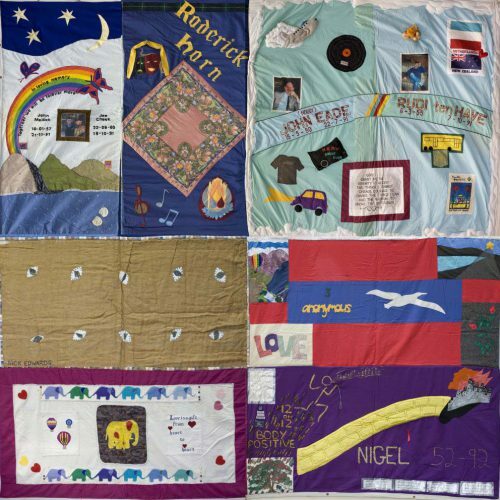 The Quilt is a memorial to those who have died of HIV related illnesses. 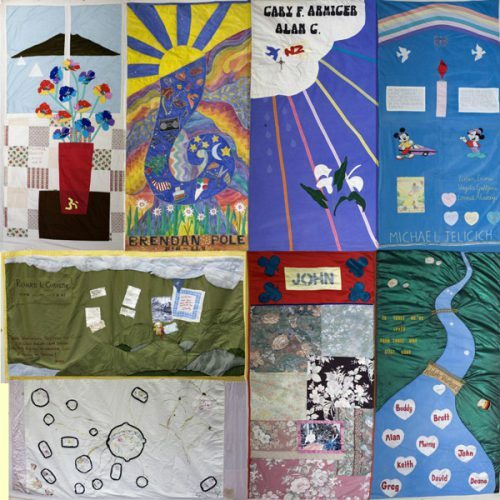 The Quilt consists of 3 feet by 6 feet panels which are joined together in groups of eight to form 12 feet by 12 feet blocks. 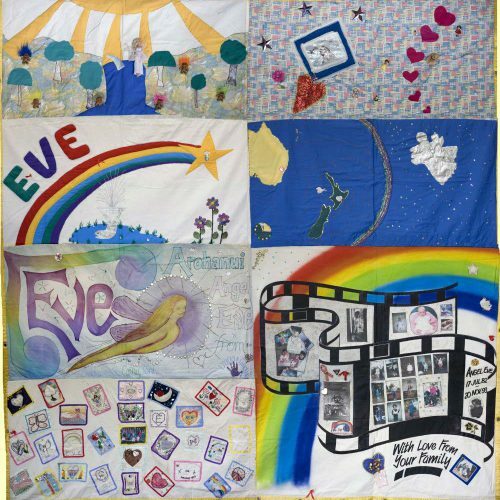 Each fabric panel is lovingly created by family, friends, partners or co-workers and is as unique as the person it remembers and those who created it. 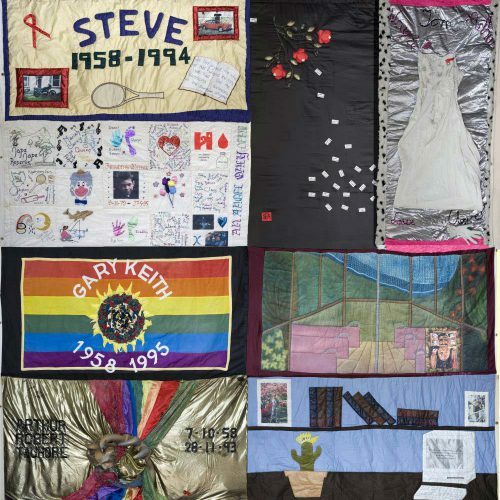 Panels are created by an individual or a group and may be elaborate or simple, ornate or plain, often carrying the details of the person’s life.